The Life's Way: #DisneyAfrica - Frozen, Avengers, Star Wars and beyond! #DisneyAfrica - Frozen, Avengers, Star Wars and beyond! It’s been a week of milestones and big announcements from The Walt Disney Company. From a galaxy far, far away to the streets of Joburg and a journey to a world beyond, there is something from everyone from the house of Disney! It’s of-f-f-f-f-icial: Frozen 2 is in development at Walt Disney Animation Studios with directors Chris Buck and Jennifer Lee and producer Peter Del Vecho, the Oscar®-winning filmmaking team behind Frozen. The news was announced at Disney’s Annual Meeting of Shareholders by Bob Iger, Chairman and Chief Executive Officer of The Walt Disney Company; John Lasseter, Chief Creative Officer of Walt Disney and Pixar Animation Studios; and actor Josh Gad, who provides the voice of Olaf from Frozen. A release date and production details are on ice for now. Fans will soon be able to see the brand new animated short film, Frozen Fever, which hits cinemas in front of Disney’s upcoming Cinderella on Thursday 2 April nationwide. Frozen Fever welcomes back to the big screen the voices that helped bring the Frozen favorites to life, and introduces a new song Making Today a Perfect Day. For a limited time, the track is available exclusively at iTunes (iTunes.com/FrozenFever). In the short film, it's Anna's birthday and Elsa and Kristoff are determined to give her the best celebration ever, but when Elsa catches a cold, her powers may put more than just the party at risk. 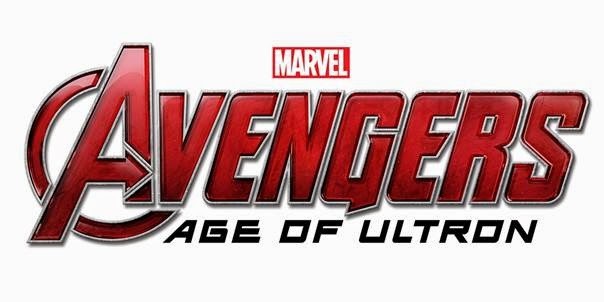 Marvel’s Avengers: Age of Ultron - Marvel’s Avengers: Age Of Ultron. The trailer set a record with 35 million views in 24 hours, breaking the previous record set by the last teaser trailer which debuted October 22, which got 34.3M global views in 24 hours. Eagerly awaited the world over, South African fans have a special reason to celebrate as the Johannesburg skyline and CBD will feature prominently in key breath-taking sequences, following the production’s filming in the City of Gold early last year. The film releases nationwide on 24 April 2015. Rogue One is the title for the first film in a unique series of big-screen adventures that explores the characters and events beyond the core Star Wars saga. Rogue One will be directed by Gareth Edwards (Monsters, Godzilla) and written by Oscar nominee Chris Weitz (Cinderella, About a Boy, Antz). The first actress cast is Felicity Jones who garnered an Academy Award nomination and critical acclaim for her performance in The Theory of Everything. The film is due for release on December 16, 2016. In addition, Iger confirmed that Rian Johnson will write and direct Star Wars: Episode VIII. The film, which continues the saga after the events of Star Wars: The Force Awakens (18 December 2015), is set for release on May 26, 2017 — forty years and a day after the release of Star Wars: A New Hope in 1977. Disney•Pixar’s Inside Out is the major emotion picture event of the year, as we travel deep into the most remarkable location of all: the mind. Releasing 19 June nationwide, it’s sure to become a family favourite! And finally, we welcomed a more in-depth look at the Disney’s riveting mystery adventure Tomorrowland – A World Beyond, where a jaded scientist (George Clooney) and an optimistic teen (Britt Robinson) embark on a danger-filled mission to unearth the secrets of an enigmatic place somewhere in time and space. The film releases nationwide on 22 May. This is a great year as planned by Disney for the unlimited fun and joy! There is no looking back for the company this year and I am really looking forward to enjoy each and every one of the movies in the schedule. Follow: www.facebook.com/MarvelAfrica To find out more about all things Disney, please visit the websites www.disney.co.za or www.disneyafrica.mobi.